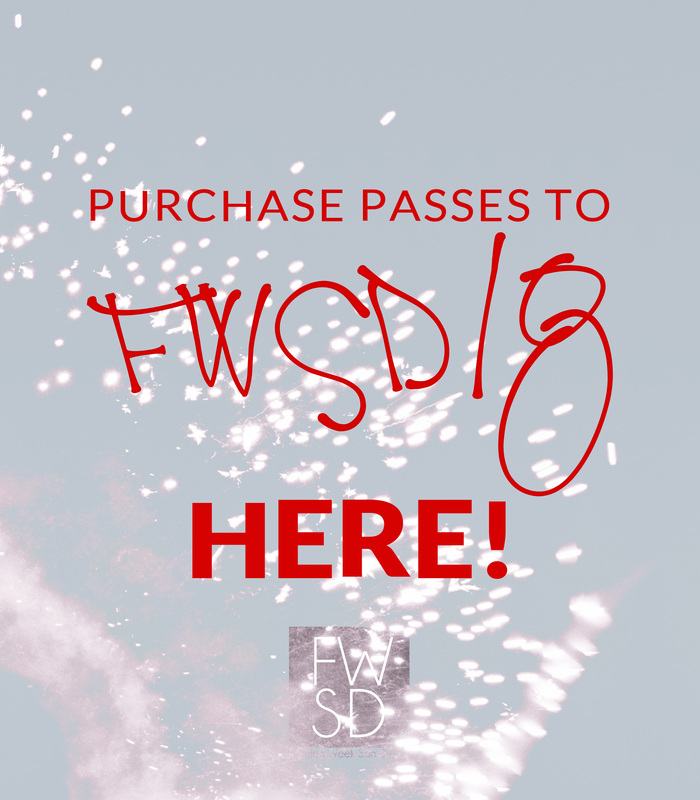 Light up the Sky with FWSD this July! Keep the fireworks going with FWSD this JULY. This month, join us for a brand new event of its kind, along with a FAB Workshop featuring our very own FWSD Founder & Director. Details below! WHAT: FWSD & Kendra Scott in store event to benefit FAB Authority. DETAILS: Join us for shopping and informal modeling of the latest and greatest Kendra ScottJewelry paired with Fashion Week San Diego Designers Sierra Mitchell & Leili Meshkiclothing. 20% of all proceeds will go back to FAB Authority. Guests will also enter to win Designer Swag! WHAT: FAB Authority® Workshop featuring Fashion Week San Diego Founder & Director, Allison Andrews. DETAILS: This FAB “Business of Fashion” Workshop will teach the essentials to successfully launching a brand straight from the source, FWSD Founder/Director, Allison Andrews! How to talk, sale, solicit and work with Buyers, Showrooms and Customers. Proper business documents the how & why. Profit & Loss, business plan, marketing plan, mission statement, line sheets & look books. Common fashion entrepreneurial mishaps, mistakes and shortfalls. Designer events. What to do, how to choose and what to aline with.